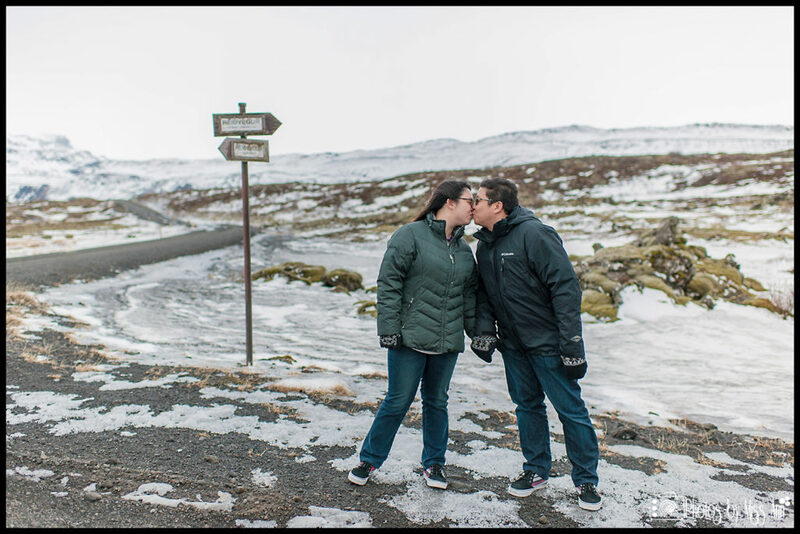 In February the Icelandic landscape is often covered with winter snow, and the temperatures hover around freezing. At times it may feel colder due to the high winds. The bright side to this time of year though is the Northern Lights can be abound on clear nights. 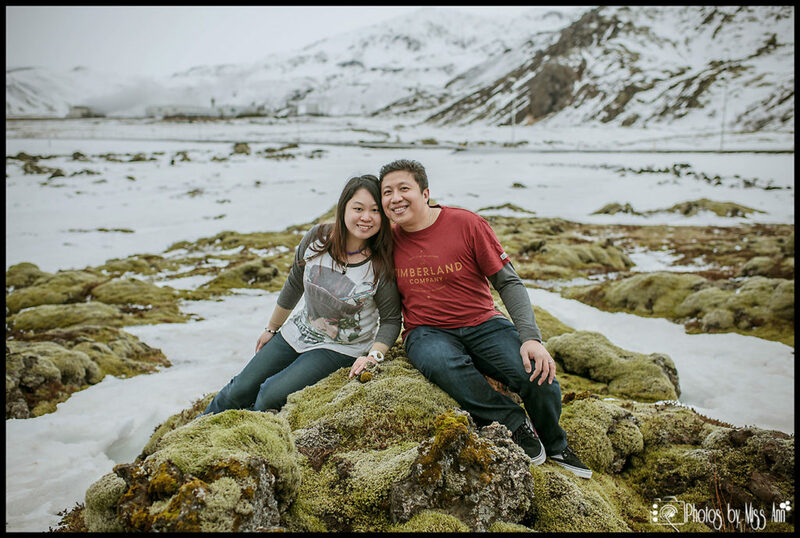 The ION Luxury Adventure Hotel is one of the best locations in Iceland to watch an Aurora Borealis show because of low light pollution and the primo view in the Northern Lights Bar. 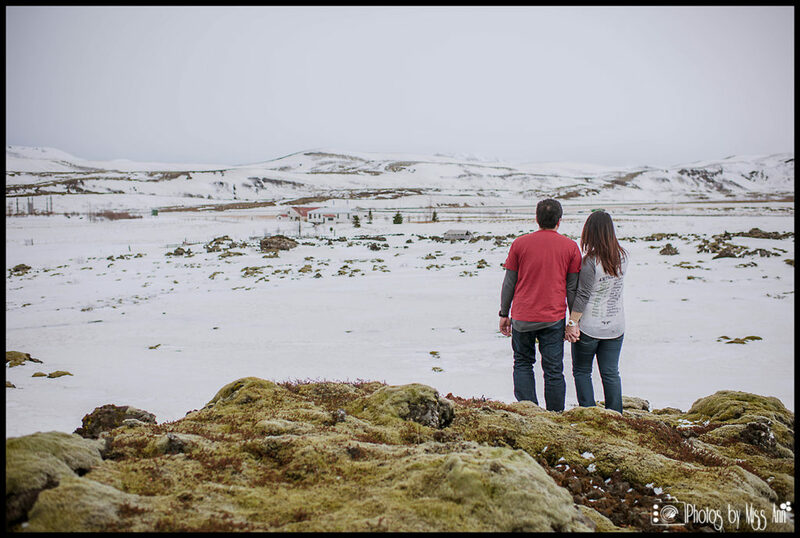 As you may remember from our previous Iceland wedding location post here on the ION Hotel, the bar has floor to ceiling windows that allow their guests to be immersed into the landscape of Iceland very easily on cold winter nights. 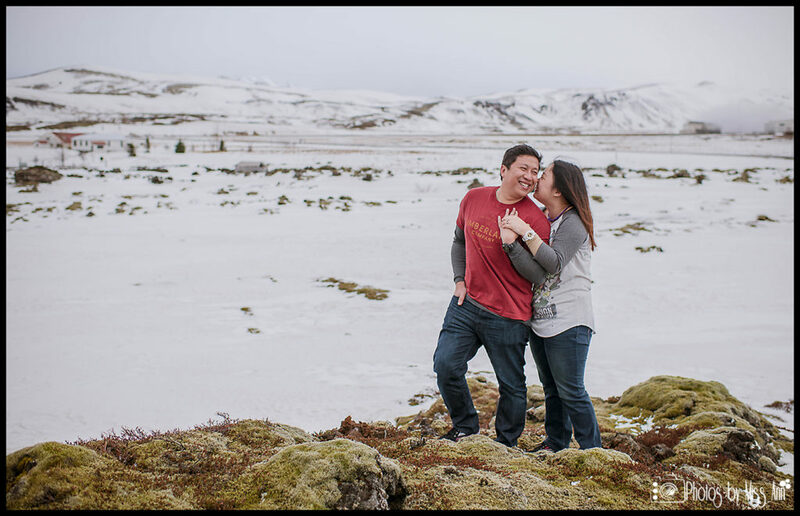 Several months ago, we started to plan an idyllic Iceland elopement for a couple that requested the ION be their wedding host hotel… Yippee! 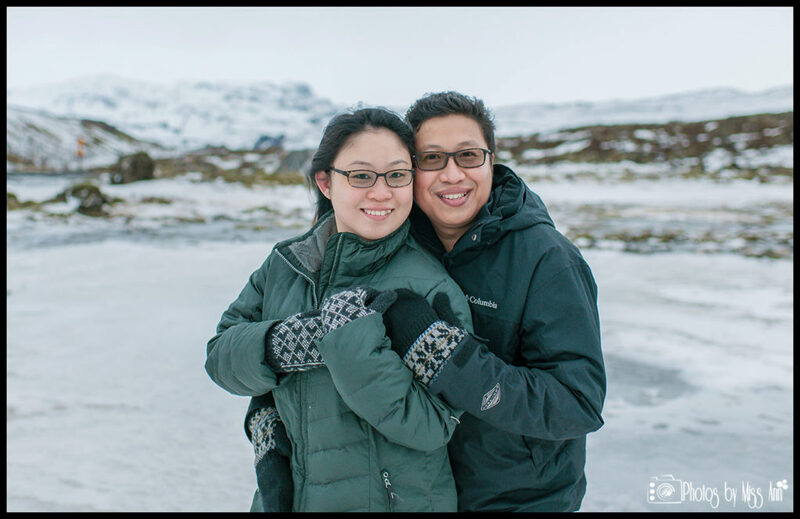 Our Singapore couple, Farid and Vanessa, chose Iceland in search of unique sights and the Northern Lights for their destination wedding adventure. 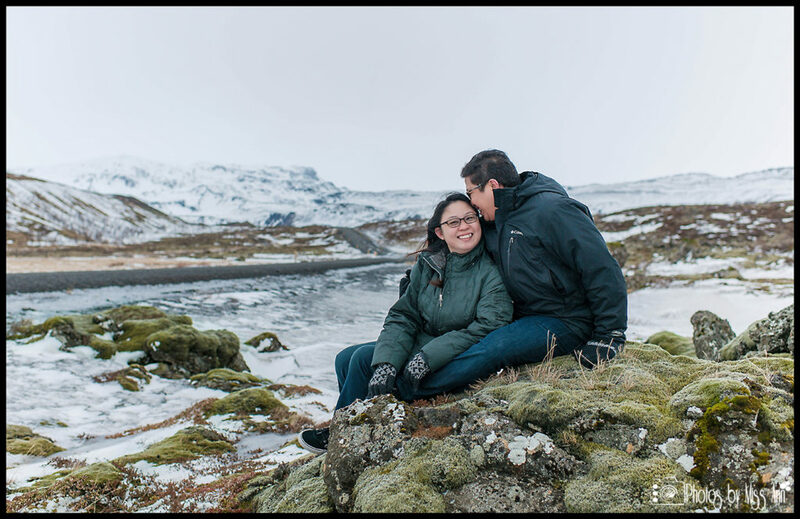 Living where the average temperature year round is 86°F (30°C), they very bravely embraced the challenging Iceland winter conditions and outdoor adventures with a smile. 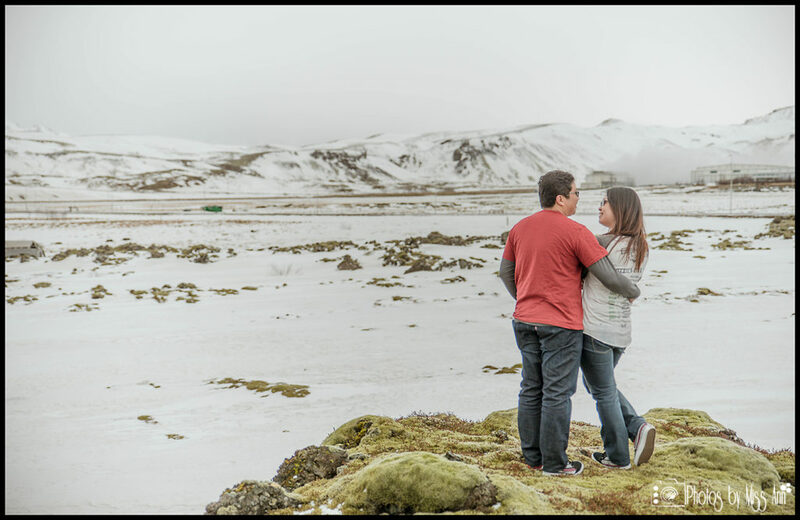 Iceland Wedding Planner, created a fabulous wedding week itinerary for them which included items like a private visit to the Blue Lagoon, dog sledding, glacier hiking, waterfall hunting, and a full wedding day adventure from sunrise to sunset. To kick off Vanessa and Farid’s wedding adventures the evening before the big day; we photographed them at dusk around the ION Luxury Adventure Hotel. 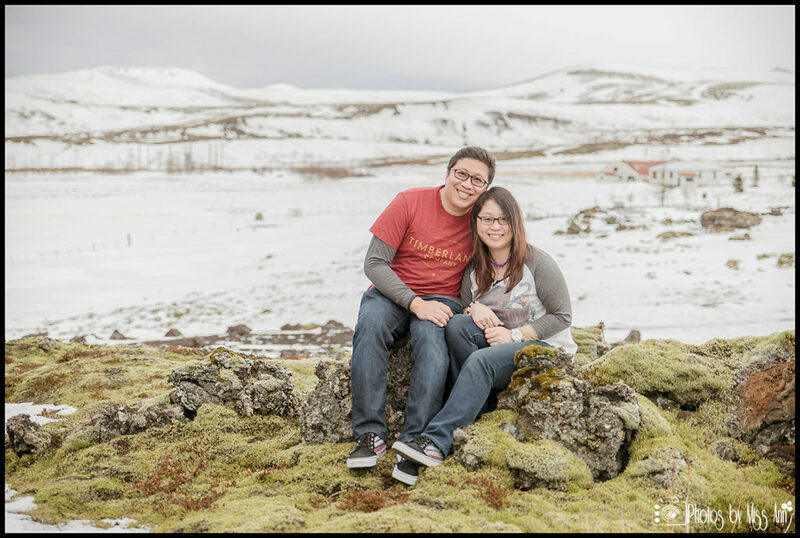 Having their engagement session in Iceland created an earthy rustic, experience. 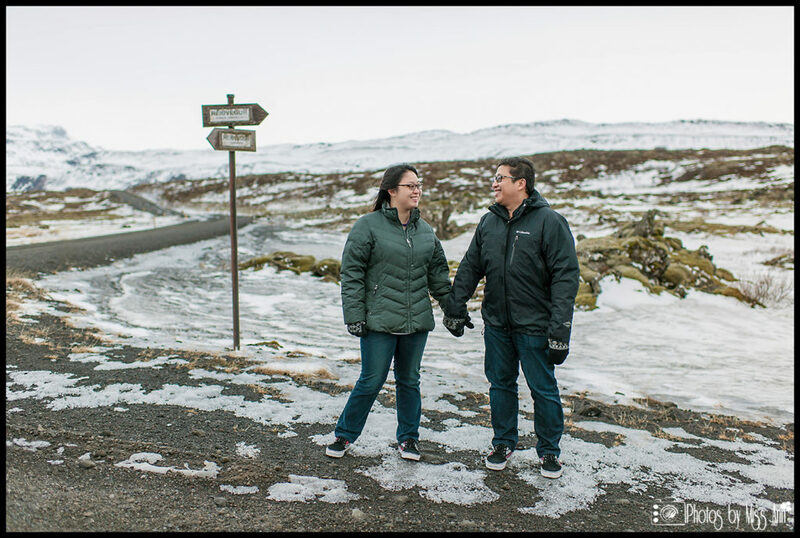 The moss and snow covered lava fields, geothermal steam, winding roads and Mount Hengill all served as fantastic backdrops for us. Oh my, was it mystifyingly romantic! 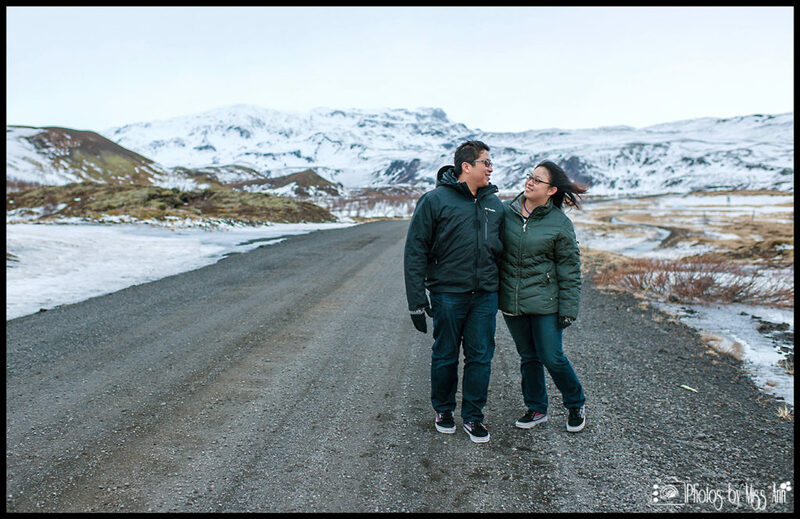 Without further ado, please delight in Vanessa and Farid’s engagement session in Iceland! 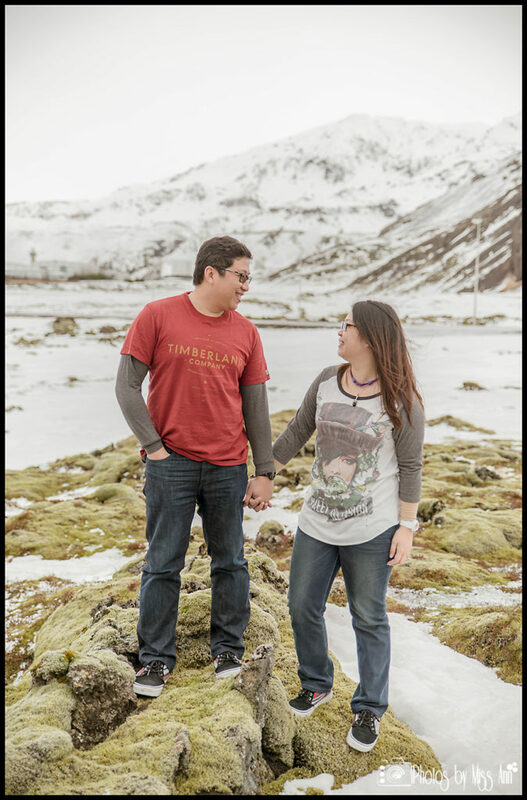 Then make sure you come back for their enticing Icelandic elopement posts!